Kult Gallery presents the first of its ‘From the Streets’ series. 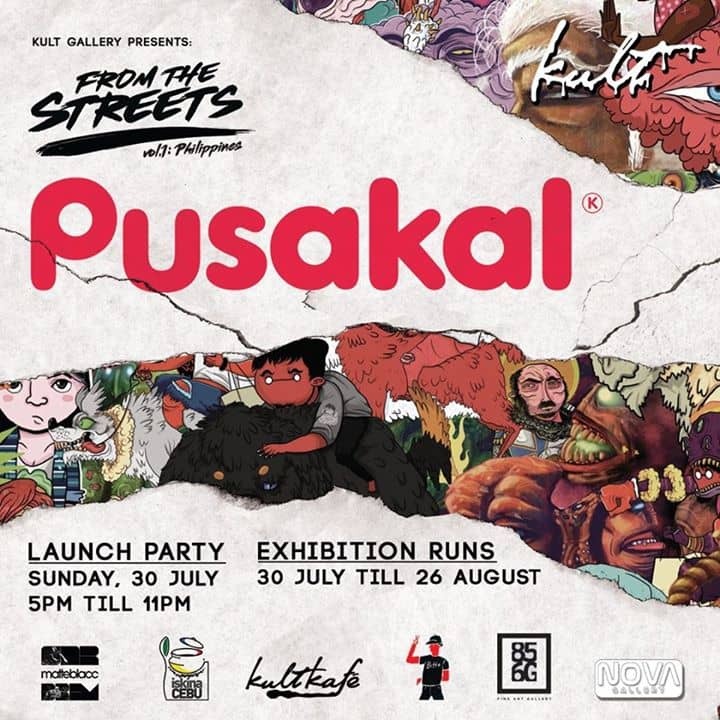 Entitled ‘Pusakal: From the Streets of the Philippines’, the show sets to present the evolution of expression happening in the country currently through the works of over 20 Filipino artists. The metaphor of the ‘pusakal’ (stray cat in Tagalog) captures the spirit of the lowbrow art scene in the Philippines. Like the wandering feline, the ongoing conversation about street art is the environment it should exist in – being either the public or domestic sphere, and whether or not the masses should be responsible for its nurture. Come tag our gallery walls. We have stencils ready and spray-paints and rollers will be provided too. Bring your own stickers and/or stencils if you have any. The more the merrier!